SMC offers a wide range of serial interface units which include EX600, EX510 and EX500, used for various valves applications. These and the complete line of SMC products are available 24/7 from Innovative-IDM. With a full set of programmable and diagnostics parameters, the EX600 serial interface is highly flexible with options to choose from, including analog input, digital input and digital output unit. 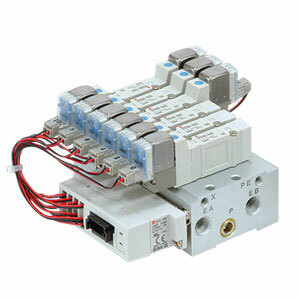 The EX600 communication module can be attached with up to nine remote D-sub manifolds using D-sub output blocks. EX600 serial interface is compatible with series: VQC1000/2000/4000, SV1000/2000/3000 and S0700 valves as well as with the new SY series valves. On the other hand, the conventional EX510 series enables the connection of more sensors and valves. This serial interface allows saving of wires as it only requires a mere power supply cable to the GW unit. Here’s another training video from SMC pneumatics, that biggest and baddest pneumatics parts manufacturer in the world. Innovative-IDM is hosting two SMC training classes today and tomorrow in suburban Austin, Texas. In this video, the MAP-206 completes the MAP-200 family of manipulators. This Training Equipment incorporates a manipulator with electrical actuators. This is an efficient way of becoming familiar with the electric actuators. MAP-206 has three electric axes, two of which are servo-controlled and it offers HMI control with four main operating modes. Here’s yet another example of why our customer experience is LEGENDARY. Our account rep Mike Davila received the following email last week. I just wanted to share with you some great customer service by Cyrus Jahani. I had called innovative earlier today looking for an SMC part, however, Cyrus was not available. I do not remember who I spoke with, but they had told me the part I was looking for was not in stock. The part was a custom order part and would be a 2-4 week lead time. This was not good news, since my lab was in need of this part ASAP. I got the permission to proceed with order so I called Innovative back. This time I insisted on waiting for Cyrus – Good thing I did. Cyrus was able to find the cylinder and the switch separately in stock elsewhere and told me the lab could have the parts by Friday. This was great news! Cyrus had to know the SMC parts well in order to do this. So I called our field tech back to let him know the good news. Both our tech and lab are very happy. Great customer service by Cyrus! It’s official and in print. Innovative-IDM has made the top 5000 fastest growing private companies for FIVE OF THE LAST SIX YEARS. Being a five-time winner puts us in a special class. Also, we have been selected as a winner of the 2012 Dallas 100 Entrepeneur Award. This award is presented by the Caruth Institute for Entreprenuership at SMU. That ranking won’t be publicly announced until a reception at the Morten Myerson Syphony Center in November. 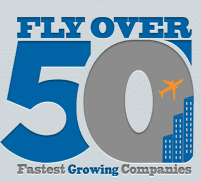 Also, we have been named as a winner of the Flyover 50, which recognizes the fastest growing companies in the middle of the country. Buz has his own blog. Follow it today. Come check it out. He’s out of control. Ever wonder how to choose the correct NEMA enclosure? Understand the importance — or irrelevance, in some cases — of drip edges, stainless steel, mounting feet, air conditioners and more. Don’t waste money but don’t be cheap. There’s more to NEMA than meets the eye, as you’ll find out here.